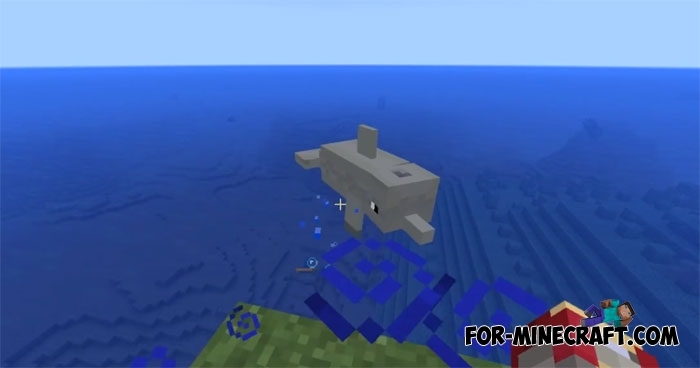 Very soon dolphins will become part of the water world and inhabit the great seas in Minecraft PE 1.3 / 1.4. More details can be seen in this article - The Update Aquatic. 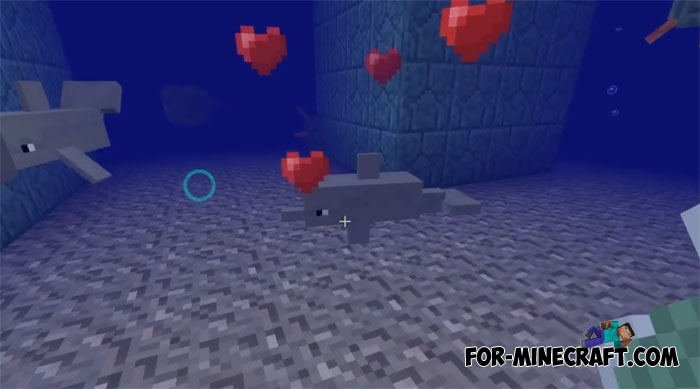 And while the update is being developed, you can immediately see and even touch the dolphins without waiting for MCPE 1.3 (probably developers will delay the release for version 1.4). Dolphins have a believable model and can swim though they make rather strange movements by the fins (the fact is that chickens were replaced). Since dolphins are friendly in the real world, they will surely be tamed and able to perform certain useful functions. How to install the Dolphins addon? 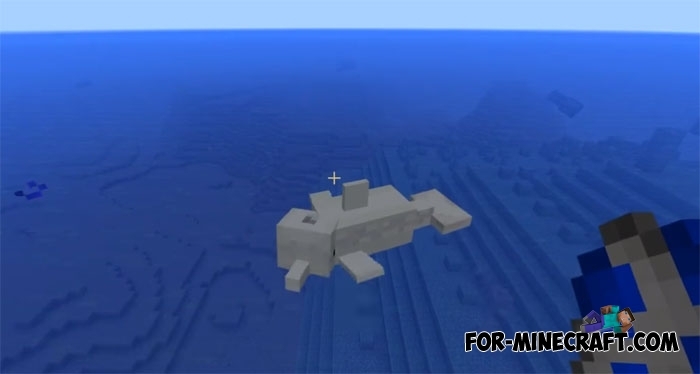 The Update Aquatic addon for Minecraft PE 1.2Probably you already know that Mojang announced an amazing update that completely transforms the water environment into something interesting for research..